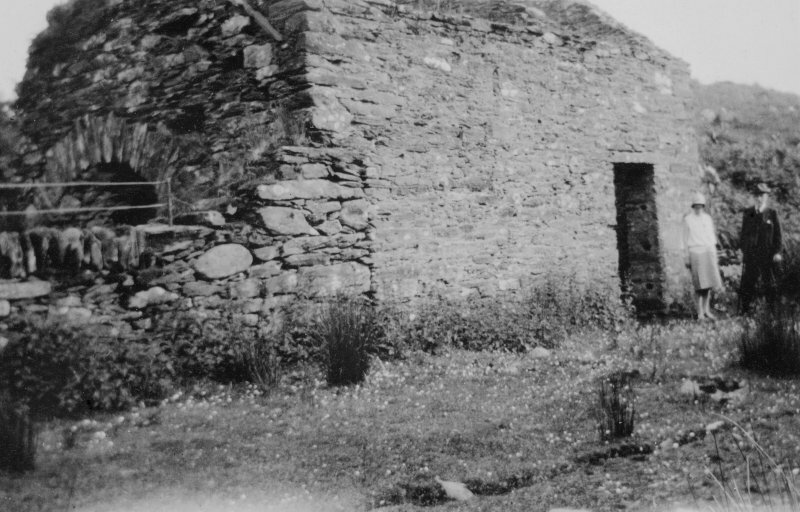 A cot house and corn mill almost in ruins. The remains of two buildings are extant, one with an archway for a water-wheel. Information from Mr G Fortune (13 Strathfillan Rd, Edinburgh), 8 July 1992. The 'meal mill of Coilebar' is mentioned in 1490. Scheduled as Loch Coille-Bharr, mill and lade, Knapdale. Information from Historic Scotland, scheduling document dated 12 December 2001. The website text produced forLoch Coille Bhar Mill webpages on the Forest Heritage Scotland website (www.forestheritagescotland.com). Along the Knapdale Forest track from the township ofKilmory Oib, you will discover the ruin of Loch Coille Bhar Mill. As this local saying tells the mill was well known in Knapdale. 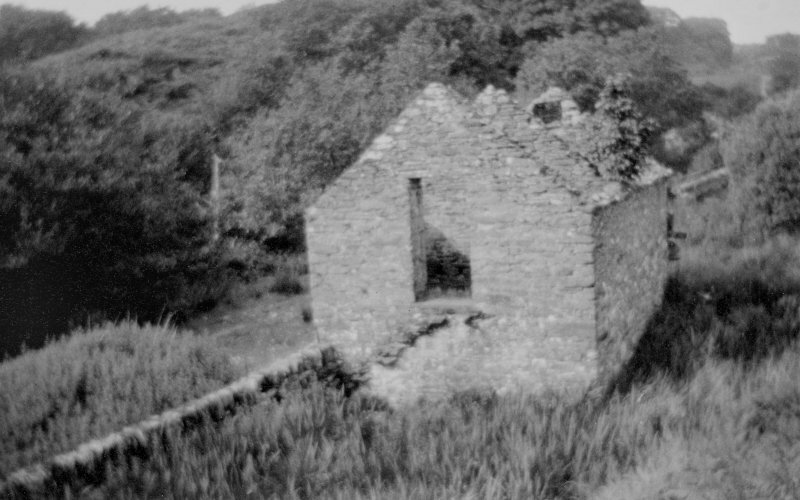 and the dark mill of Coilebar." The mill ground corn by using a wheel, powered by water, to turn a large grinding stone. Today, the wheel is gone but you can see the stone archway where it would have been. You can also trace the lade, the channel that brought water to the mill. "Argyll's mill built on the lands of Oib and Kilmorie and the mill lands, commonly called the two Gortinmullins, lying adjacent to said mill, with pasturage of 2 cows and 1 horse yearly on the lands of Kilmorie of Gillebir." Abstract from Campbell (1933) in "Abstracts of the Particular Registers of Sasines for Argyll, Bute and Dunbarton"
This meant that the rights to run the mill included land and grazing for livestock on the estate land. The mill appears to go out of use by the beginning of the 20th century as the 2nd edition Ordnance Survey map records the mill as unroofed. Other versions of the story claim the mill was at Taynish and the rescuers Tayvallich people, while another version claims that some of her husband's men rebelled and rescued her. Today, locals refer to a rock, located near Lismore, as the Lady's Rock in connection with this story.